With Twitter, Facebook, and Instagram, we now have more ways than ever to communicate. Social media has changed the way we relate to each other, and additionally, it’s changed the way that businesses communicate with their customers. With more ways to communicate, there are even more ways to mess it up, and destroy personal relationshis, or even your customers faith in you. Whoops. Before you update your personal relationship status, or announce big news, make sure it’s news you really want out, and of course, make sure those you hold near and dear aren’t getting their news from facebook. They deserve a courtesy call. When it comes to big news in your personal life, it can be tempting to shout it from the rooftops, but before you do, pause and reflect. Make sure your hot news doesn’t make you look like a hot mess. #WhyIStayed was a hashtag meant to raise awareness of domestic violence, and survivors from all over the world took to Twitter and Facebook to share their stories, and the reasons they stayed in abusive relationships. The resulting tweets were heart-wrenching and insightful, and did much to raise awareness about the struggles victims face. Needless to say, DiGiorno’s thoughtless tweet had them scrambling to apologize for their insensitive gaffe. The lesson here? Research your hashtags before you tweet. Just because it’s trending doesn’t necessarily mean it’s the best way for your company to score some new followers. The Worst Sales Promotion Ever? 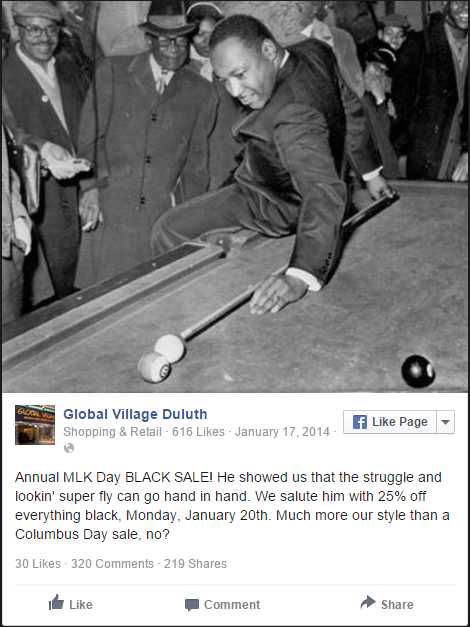 There’s nothing wrong with your eyes, that really is a store celebrating MLK Day by discounting all black items. It’s not hard to see where they went wrong here; a little sensitivity can go a long way for your business. 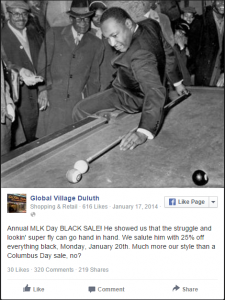 But, speaking of MLK Day gaffes…. In 2014, an Arizona fraternity was suspended after throwing a “Black Party” to celebrate Martin Luther King Jr. Day. 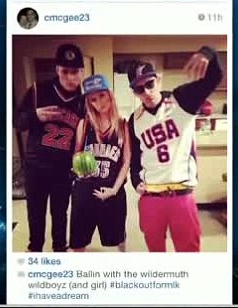 But rather than wearing the color black, they dressed in racial stereotypes, and then posted the photos to social media. The most surprising thing about this entire debacle? These kids managed to get into college, somehow. 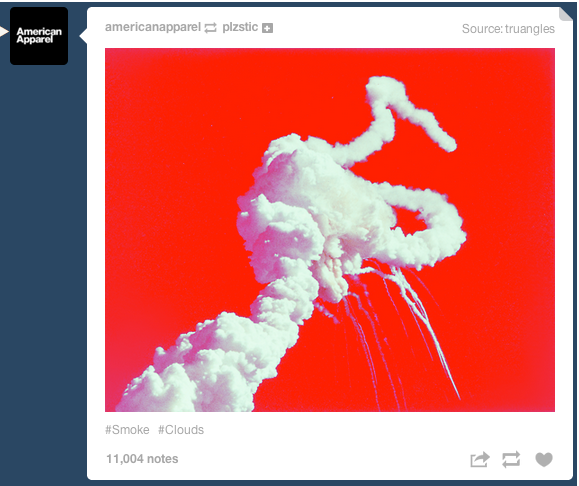 Yeah…. we’re not sure what to make of that, either. Needless to say, you should always research photos and statistics before you share them on social media. As you can see, the pitfalls of social media are everywhere, but with a little foresight, and sensitivity just about anyone can navigate the complex world of social media marketing.